Getting Things Done or short GTD is a popular productivity method by David Allen. The main goal is to work more productive while reducing the mental workload. The Getting Things Done system does not require special tools, so there are dozen of different tools that you can use to setup your personal GTD. 1.) The most important task of the GTD method is to collect all your ideas, material, and todos into one inbox. As soon as you trust your inbox and your system, your brain stops to remind your every few seconds on random things. 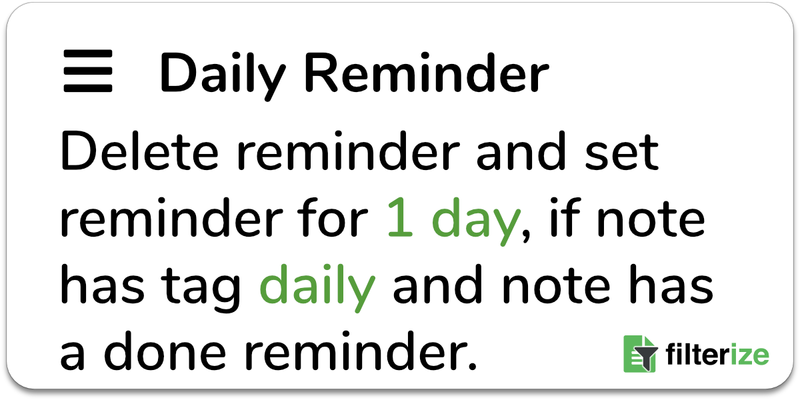 Instead, it will relieve you of the mental workload of reminding everything. This helps you to get a clear mind and focus on your progress. 2.) If you write down all your thought, nothing get lost anymore. Everything is in the system and you can be sure to have access to it in the right moment. Whenever you need it. 3.) During the weekly and monthly review, you go through all your open tasks, project and ideas. This allows you to plan what are the next actions to do. Due to nature of breaking all bigger tasks down to small actionable pieces it is much easier to really do them. 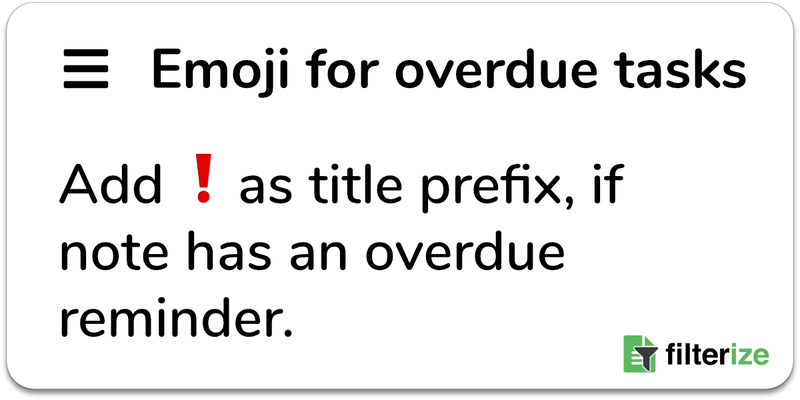 This is an import step to overcome procrastination. 4.) Most systems require the usage of priorities. This is a really hard task. For example, if you have five priorities P1, P2, … P5 you have to decide for every single task if it is a P3 or maybe a P2. With Getting Things Done you don’t have to invest this thought. 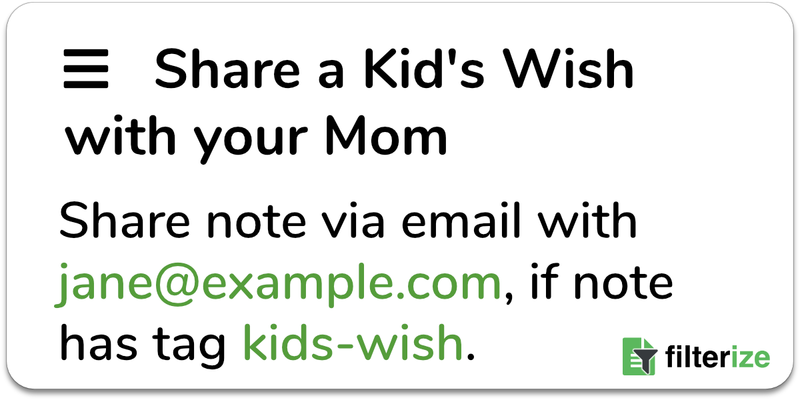 Instead you can organize your tasks into contexts like home, work, or town. With this contexts you will only see actions you can do right now. 5.) Getting Things Done combines perfectly with the Inbox Zero. 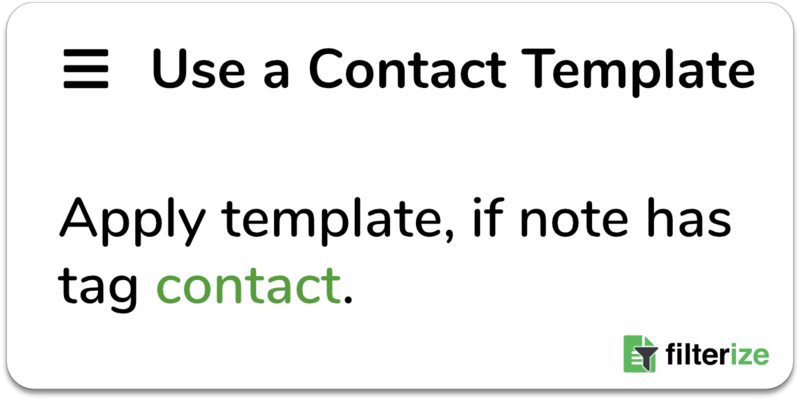 With Inbox Zero you have the goal to reduce all items in your inbox to zero. With the GTD system you have the perfect way to achieve this. So there are many advantages of using Getting Things Done. 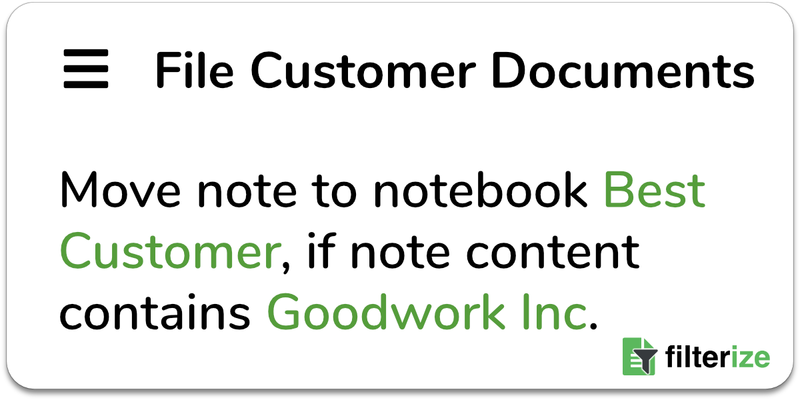 A famous tool to implement GTD is Evernote. 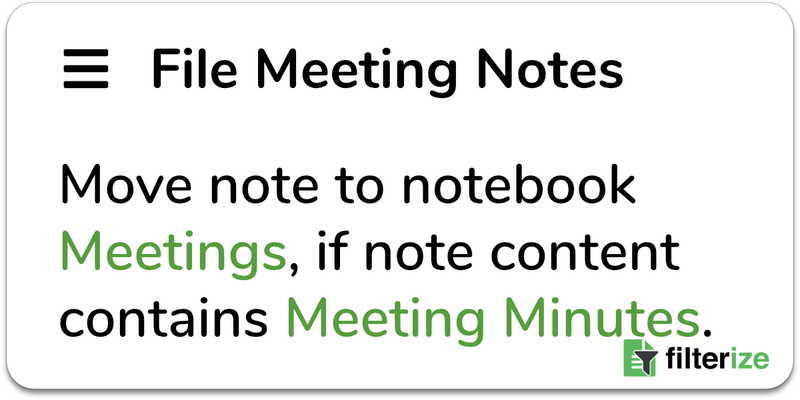 Why is Evernote the Perfect Companion to GTD? 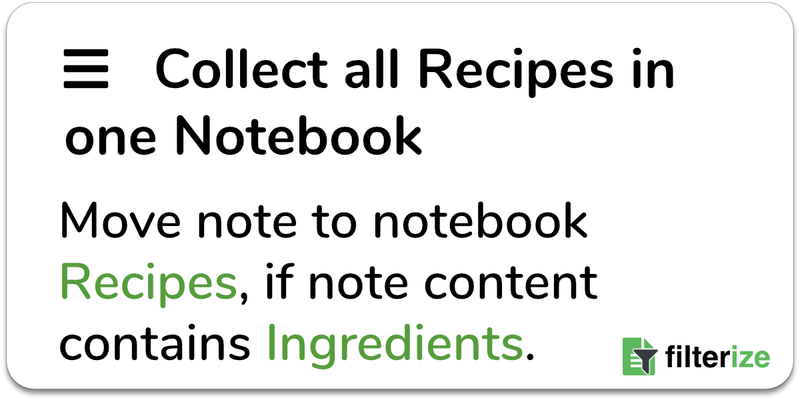 Evernote is a tool that allows you to collect all kinds of information. It claims to “remember everything”. We think this is right. 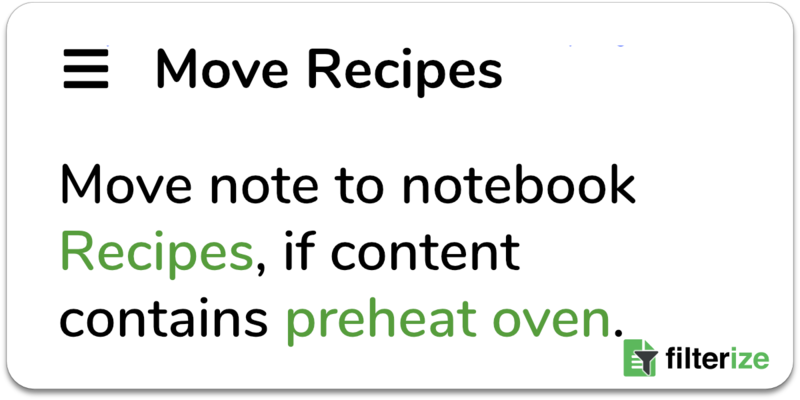 There are so many ways to store information in Evernote that it could be used as the system to store all your documents, ideas, and of cause tasks. If you use the same system to store your material and your tasks you have all in one place. No need to search in different tools, no need to decide which is the right app to store this piece of information. 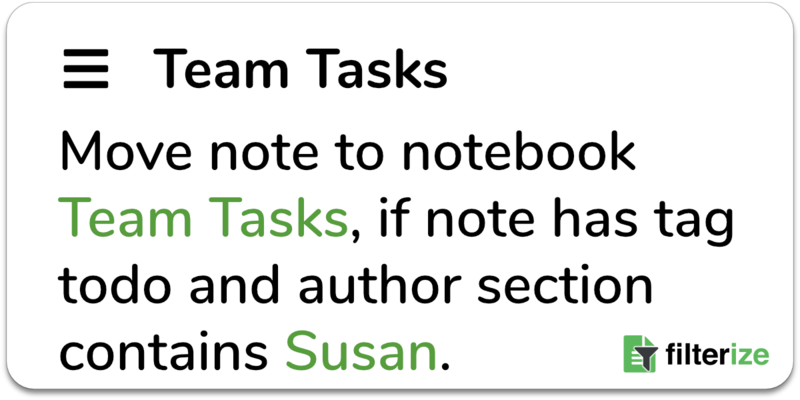 If you use Evernote for your Getting Things Done implementation you can easily transform actionable items into reference material, whenever you finish a task. 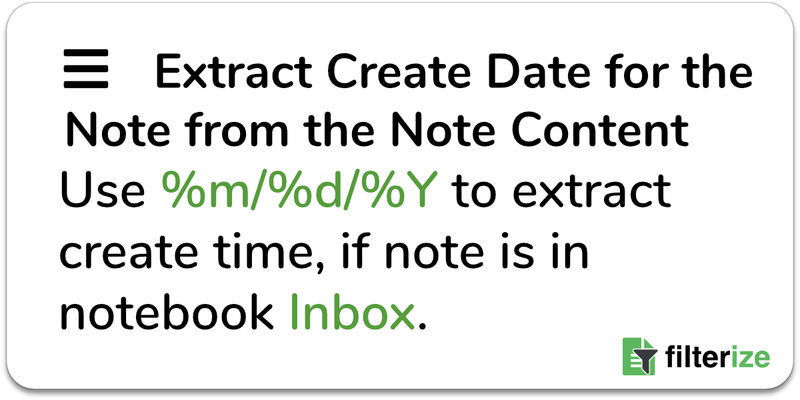 Also Evernote allows you to create links from one note to another note. 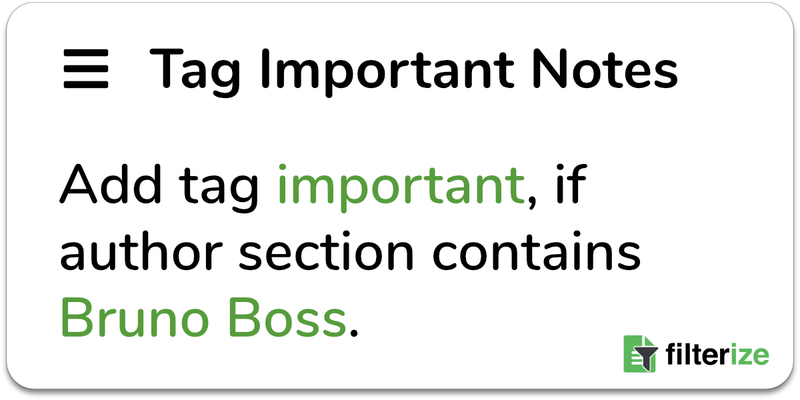 This allows you to reference important material directly in your project lists or todo notes. 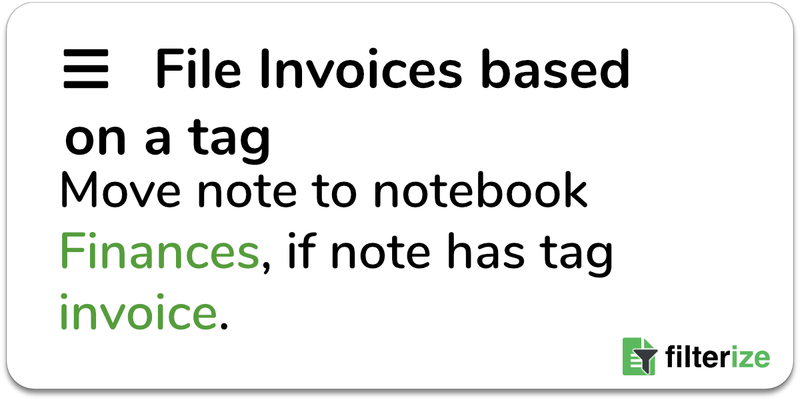 As mentioned before, you can use a lot of different ways to collect stuff in Evernote. 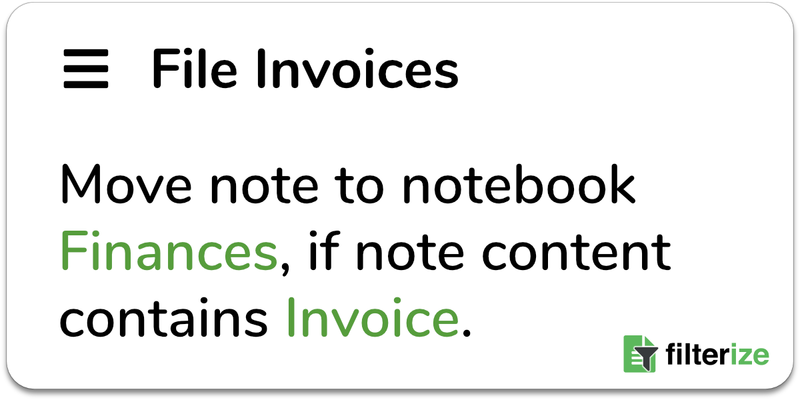 You can use the client itself to create quick notes. 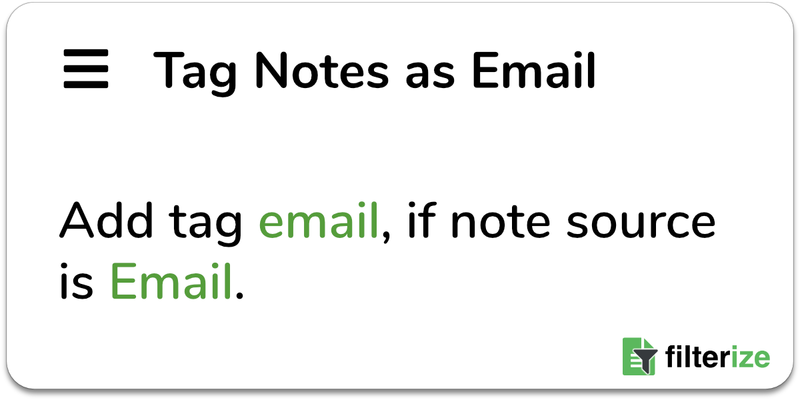 You can use your email application to forward emails as reference material or actionable items directly into Evernote. 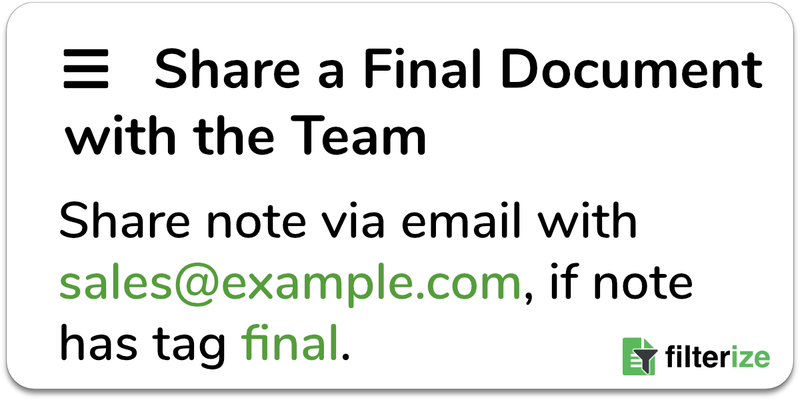 You can use the webclipper to collect interesting web pages or you can setup your scanner to send scanned documents directly into your Evernote inbox. One drawback of intense GTD usage is, that there are lot of managements tasks todo in your system. While processing your inbox you have to categorize the items. 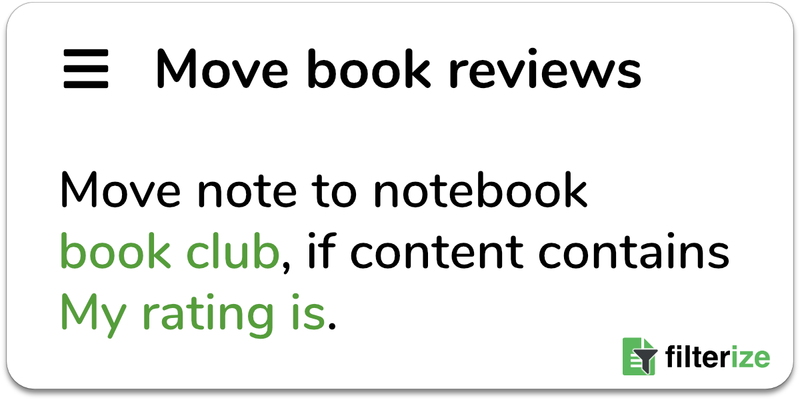 You have to take care of your regular reviews. And you have to clean up your system and delete or archive finished tasks for later usage. 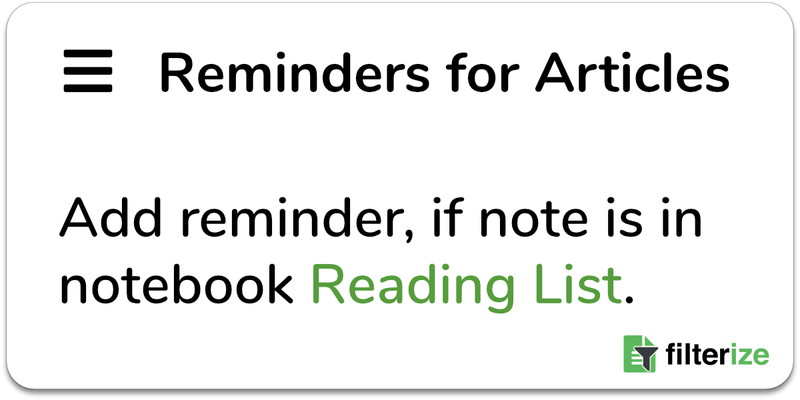 Filterize as a digital assistant for your Evernote can relieve you from these repetitive tasks so you can increase your productivity even more. Use the saved time for things that really matter. With Filterize you can create dashboards for your contexts, projects or your delegated list. Dashboards are notes with dynamic tables of contents. 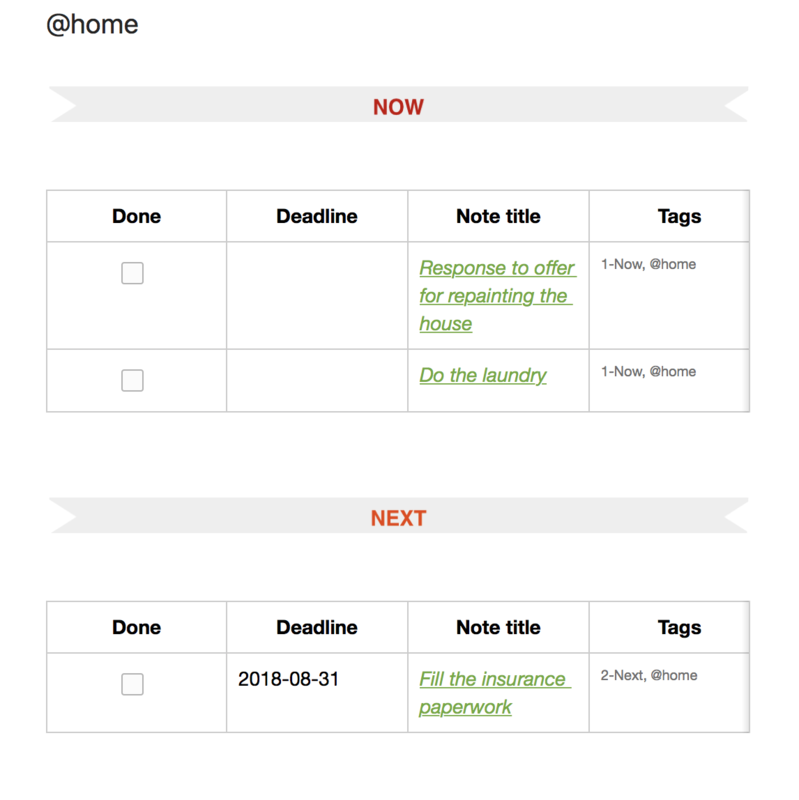 With our predefined Getting Things Done Workflow you can have notes that organize your tasks by urgency like now, next or later with respect to the tasks context. 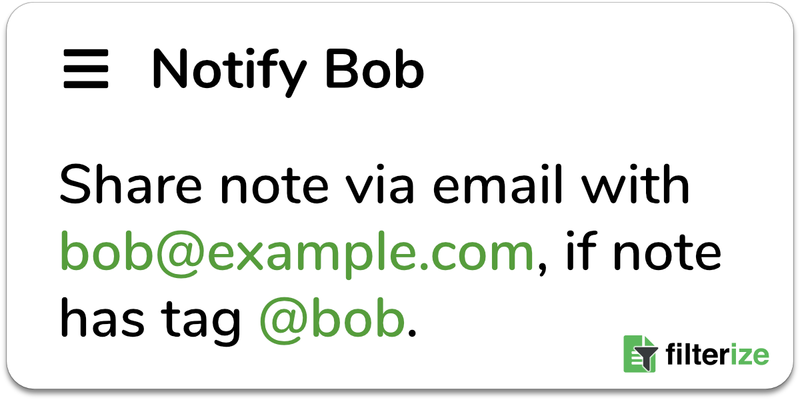 You can define a rule in Filterize that sends an email to your colleague whenever a note has a certain tag. 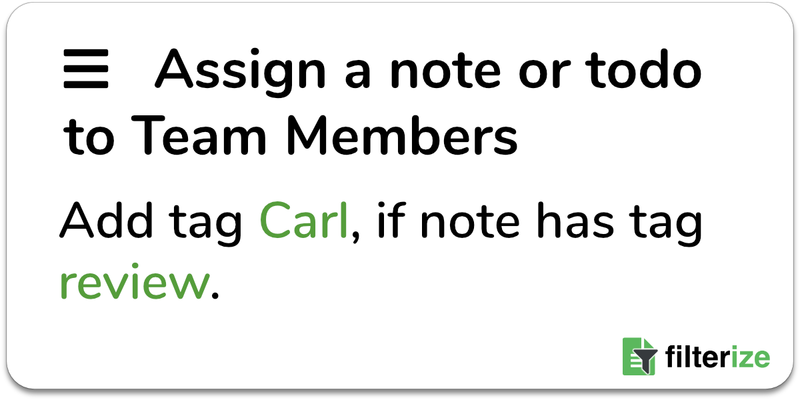 If you use tag to identify the person you want to delegate the task to you can use this rule to inform him/her about the delegated task. 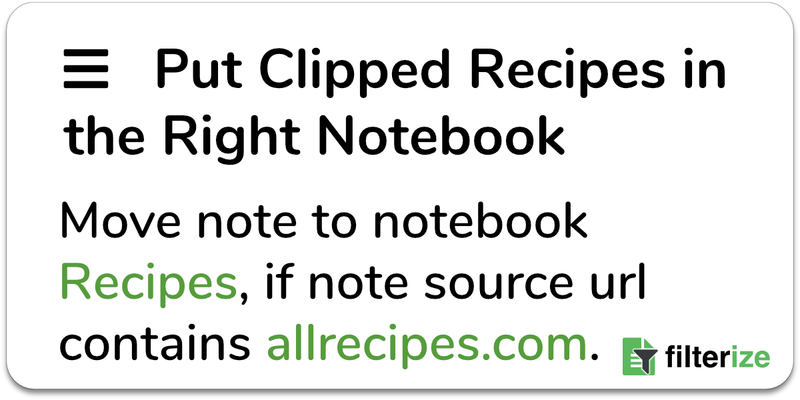 You love structured notes and you use templates in your daily life? 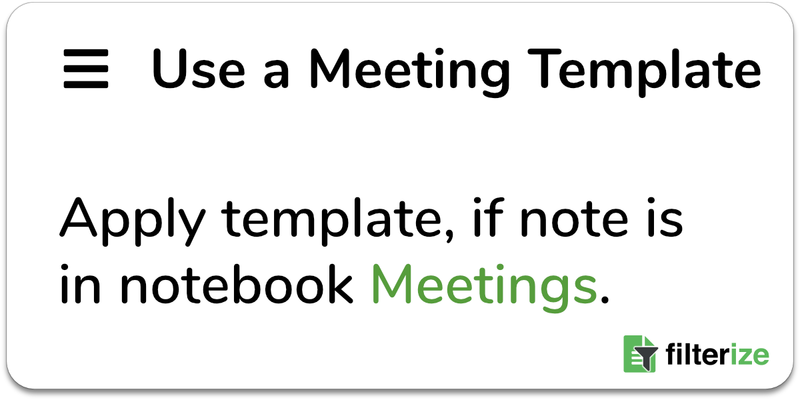 Filterize can help you with this templates in your GTD process. 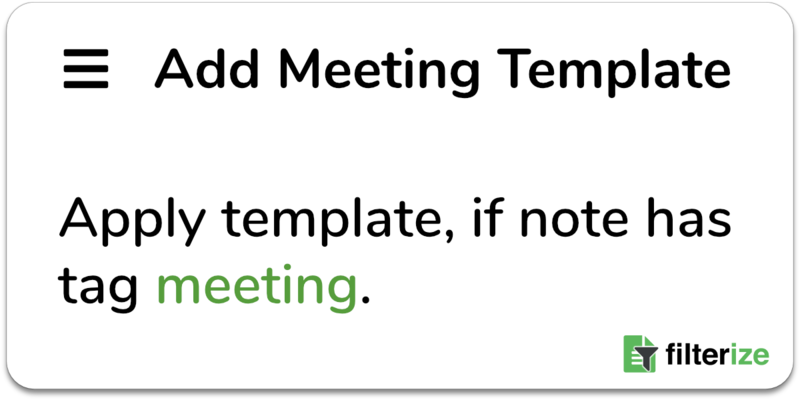 For example, you can create a template for all of you project notes. This helps you to collect all relevant information like your goal, the reasons why, and all subtasks for your project. 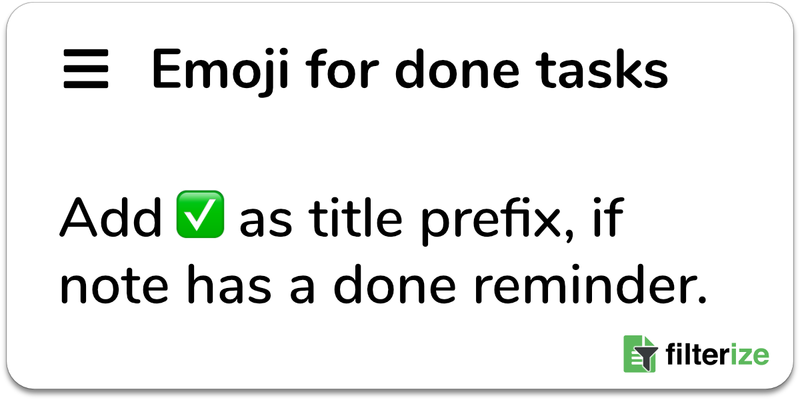 With Filterize you can setup a rule that puts your template in every note that has a specific tag, like “project”. 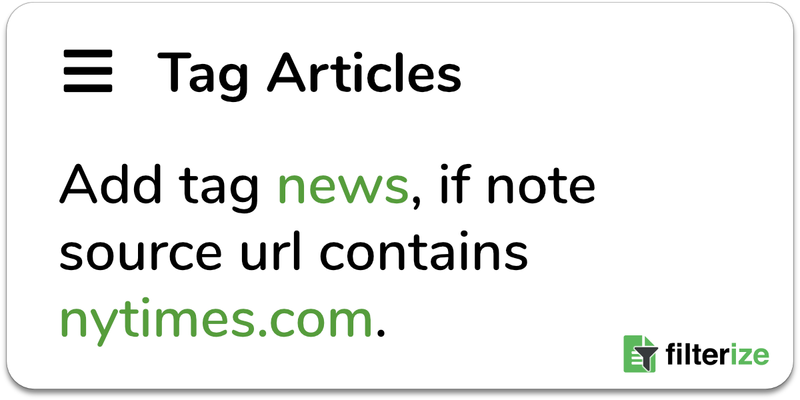 Existing content of a note will be kept and placed within the template. 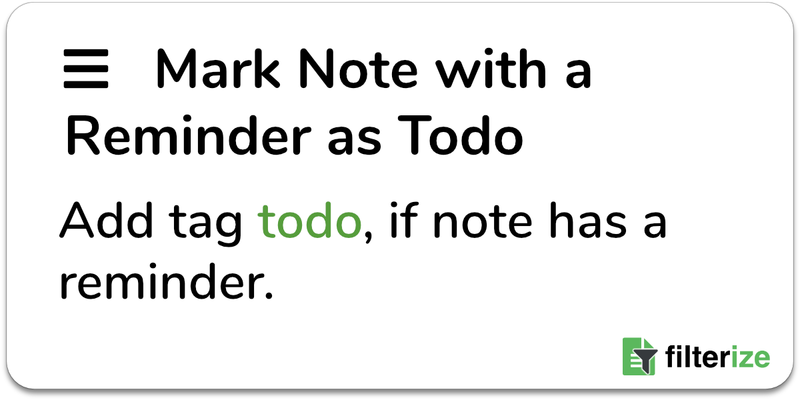 So you can apply templates automatically, even when you started to create the note. 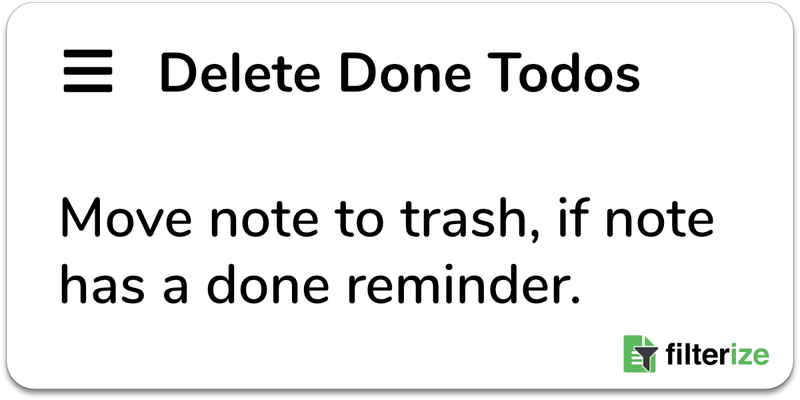 Once you are done with a task you either delete it or archive it as reference material for later usage. 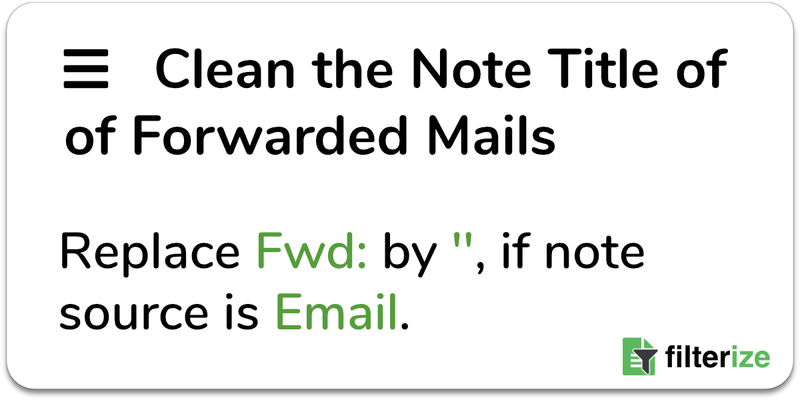 If you classify your notes during your inbox processing, Filterize can keep track of them, when you mark the reminder as done. 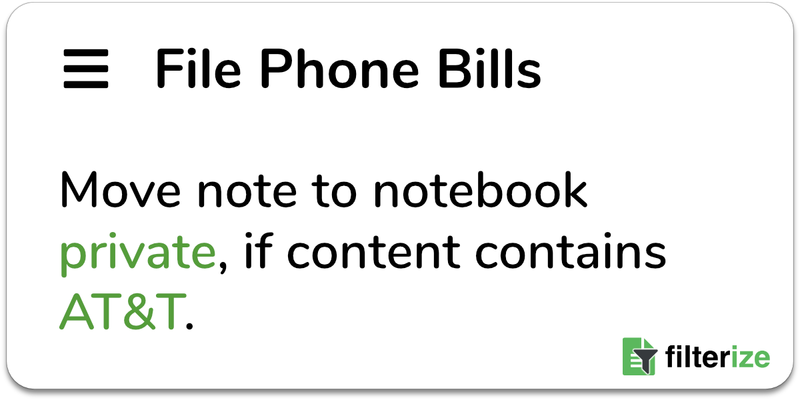 Based on your decision beforehand Filterize could move the note into trash or into an appropriate notebook. One of the most important tasks in Getting Things Done is to do your weekly and monthly review to keep your GTD system working. 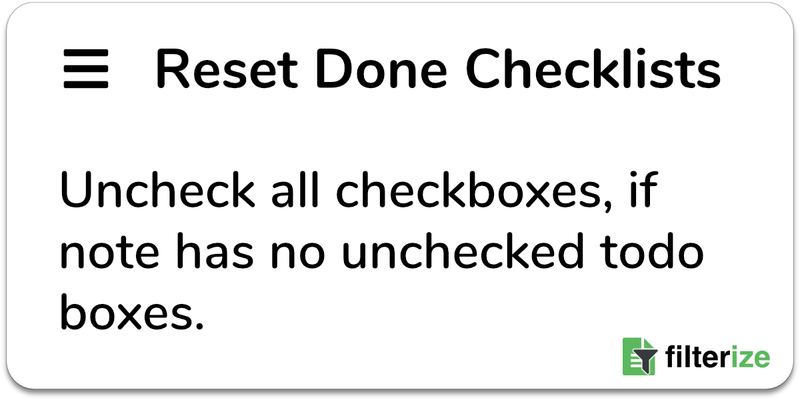 The easiest way to do this is to create a checklist for both of them. 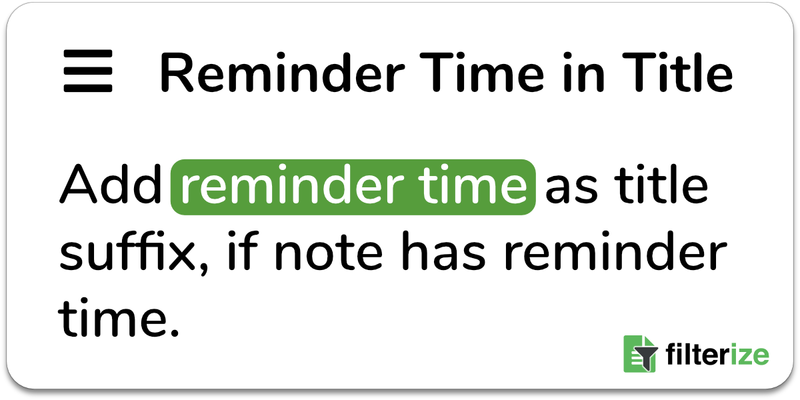 You can apply a reminder to the review notes, so Evernote reminds you whenever the review is due. 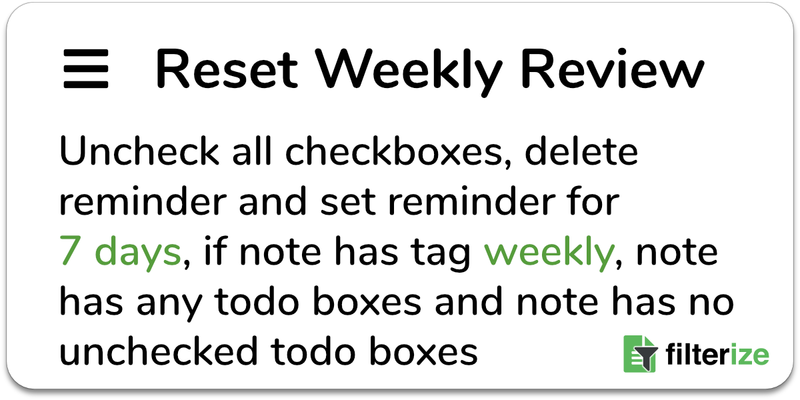 If you prepare the next review, you have to uncheck all checkboxes of your checklist and reschedule the reminder to the next week or month. Filterize can automate this completely. 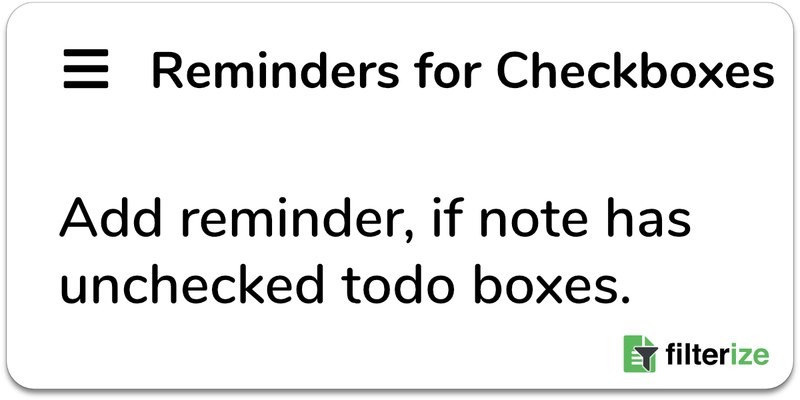 Just setup a filter that unchecks your checkboxes and create a new reminder in a month or week. 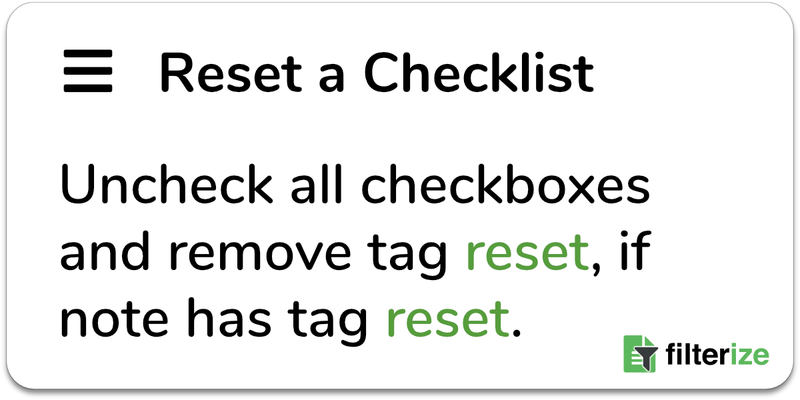 You can trigger this automation with the last open checkbox in your review checklist. If you collect all your stuff in your inbox, you maybe recognize that often you have similar items to process. 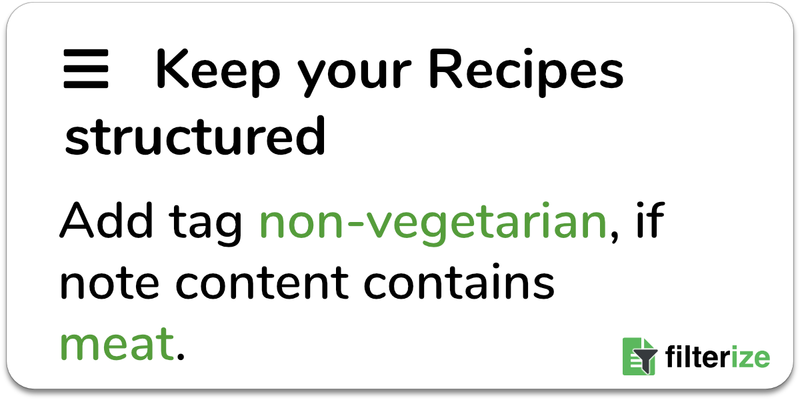 For example, you move all your cooking receipts into the references folder and you add the tags private and receipt. This is a great opportunity for automation. We build EvA an artificial intelligence that recognizes repetitive actions on similar notes. 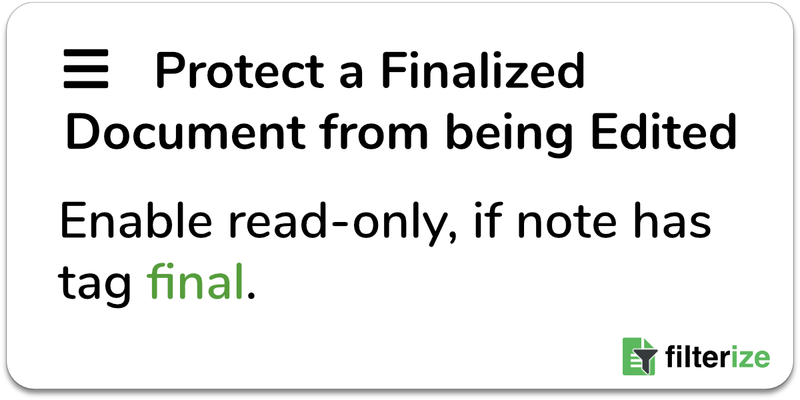 Whenever EvA find a rule that could explain your action, Eva will suggest it at the Filterize page. All you have to do is to select the rules that fits your intent best. From now on, EvA takes care of these inbox items.